Boot season is almost here and the selection this year merits all the heart eyes! 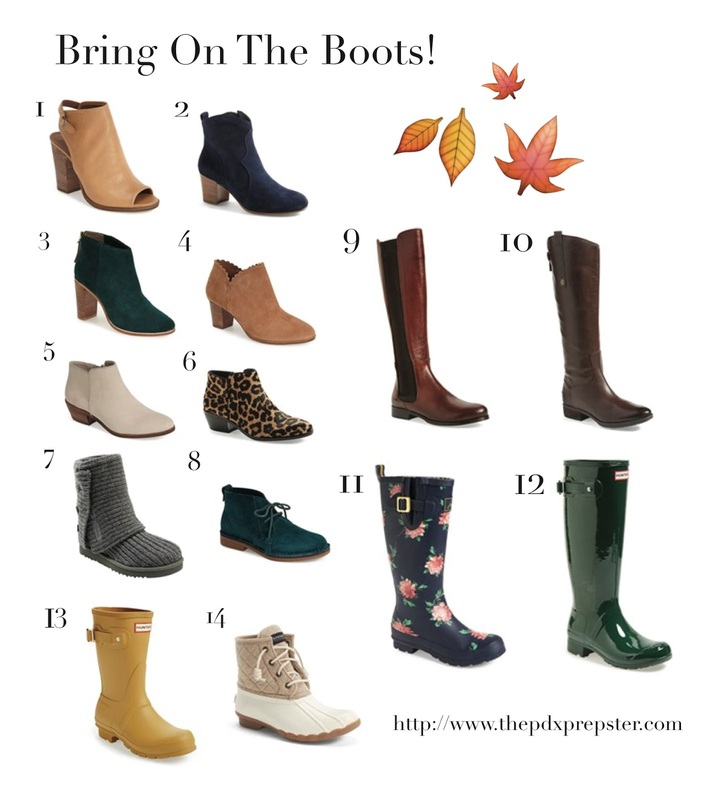 From rain boots, to riding boots, knit boots and short booties fall is overall the best! Some staples that have survived multiple seasons in my closet are these riding boots (worn here), these wellies (worn here), and these UGGs for indoor wear. This year I’m especially loving these teal booties and might just have to add them to my collection.